The GuoGuan Xinghen is a fantastic premium 2x2 speedcube and the second release in the "GuoGuan" line sponsored and manufactured by MoYu Factory. MoYu claims this cube will deliver 40' inverse cutting which will set a new standard for speedsolving cubes. 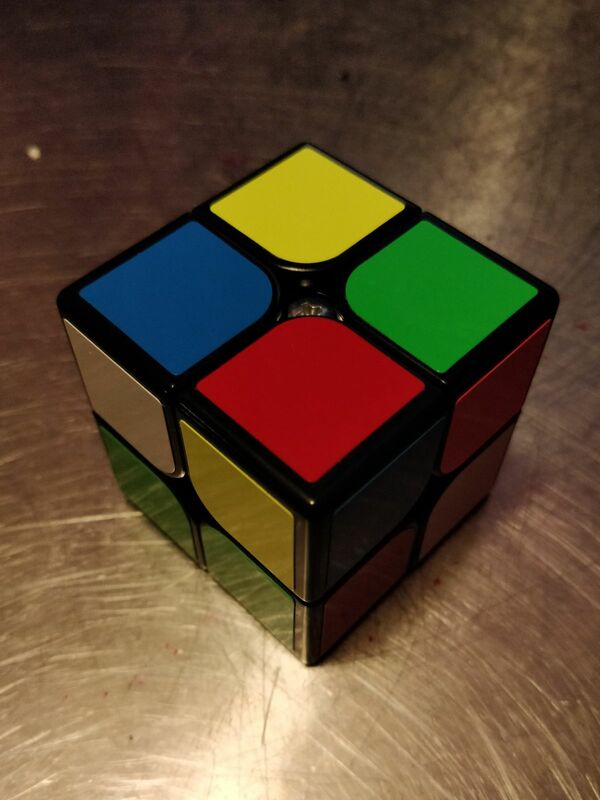 The Xinghen cube comes with full bright MoYu shade stickers - a must have 2x2 for fast cubers. This cube is very smooth and fast. It may need tensioning and lubricating in order to be more controllable. One issue I did encounter, however is that one of the corner caps keeps falling off due to the very small clips. Easy fix with some superglue though. This cube is very good for the price it costs. I have no issues with the turning and enjoy solving 2x2 with this. Very fast cube, shaved a second off my time straight out of the box using ortega. Sometimes corners will twist but gets better once you get used to the cube. Springs are good quality. It’s got nice corner cutting and is very fast maybe a bit to fast. It is one of the best 2x2 in my collection.